It seems that, just occasionally, I must have been a little over enthusiastic in my wine purchases because I’ve noticed that there are a few more bottles in the cellar than I strictly need. When I recently looked into the options to off load some of this excess stock I found there to be quite a few well established forums for private owners to sell their wine. Clearly I am not alone in having eyes bigger than my palate. When you consider that one is often buying wines, at the finer end of the scale ten or more years ahead of their optimal drinking windows it is perhaps not surprising that one can end up with case or two too many of a particular type of wine or vintage. Also one’s tastes evolve over time and so the dream cellar your younger self worked so hard to assemble might not match that of your ungrateful older self. Whatever the case the good news is that there are a number of ways in which one can create some room in the cellar whilst at the same time some cash in the bank. The easiest wines to trade are those that are still in storage by the case In Bond. In Bond means that the duty and VAT due on wine when imported and sold have not yet been paid and it is possible to store the wine indefinitely in a special Bonded Warehouse in this state of limbo, only incurring the tax when you have it delivered home. Investment grade wines tend to be traded in Bond and the fact that they are stored in these specialist temperature and humidity controlled warehouses provides some assurance of their condition. The traditional broking services that fine wine merchants provide have in recent years been expanded and to a degree automated to allow wines other than the just investment wines to the traded. Berry Brothers and Bordeaux Index both run exchanges that allow customers to list wines for sale. BBR appear to allow customers to choose any asking price they like whilst BI encourage customers to choose price within a range of their calculated average market price. Both merchants charge a 10% commission on any sale which seems to include or not be liable to VAT. I’ve tried both platforms found them easy to use and they bring your wine to the attention of all their other customers. The main disadvantage is that you need to have the wine stored with the merchant already. BI allows you to transfer wine into storage with them but BBR only allow wines bought and stored with them to be traded. Also if the merchant has the same wine in stock already then it will list its own before any that it is broking. Before listing anything its worth looking to see if any cases of the same wine are on offer and what the asking prices are. So far I’ve managed to sell two cases of 05 Bordeaux that I bought through BBR both for a fair price and another two cases of wine through BI again at more or less market prices. As the merchant is essentially broking the wine it’s great because there is nothing more to do but wait for the funds to appear on your account, which could happen a little quicker. An alternative to broking your wine through your existing wine merchant is to use a purpose built on line trading platform. There are two that I have come across: Cavex and Wine Owners. Cavex appears to be aimed at the investor collector and is set up as a trading platform allowing one to monitor the fine wine market and buy from and sell to others registered on the platform, however only wine stored In Bond can be traded. Cavex charge only 3% commission on any sale which is attractive but also charge the buyer a premium of 3% + VAT (so 3.6% all up) too to its worth considering this when setting prices. Setting up an account is free and one can upload details of any wines you might consider trading including the price you paid for them. This can be done manually, which is reasonable quick because there is something akin to a predictive text function that recognises most wines and then allows you to choose the vintage etc. Alternatively if you have your collection on something like Excel one can export and upload a csv file and Cavex will set up your cave for you. Once your wines are listed the platform automatically shows the lowest price that the same wine is offered on the exchange and also the highest bids that may have been made. Once on the exchange all one’s wines are listed whether offered for sale or not and the exchange allows other members to bid on all wines listed. An email notifies one of any bid within 10% of the offer price and one can then accept it or counter by modifying the price. The web site is reasonably easy to use but kept crashing while I uploaded my wines. So far I have sold one case of Bordeaux 2009. After a round of bid and counter offer it went at just below the ‘market’ price but with the benefit of the low commission rate. Interestingly this was not an ‘investment’ grade wine so clearly users are not just speculators. One thing to bear in mind is that once a bid has been accepted one has to organise the transfer of the wine to the buyer’s bonded warehouse. This is not difficult to do but may result in some charges in the region of £10-£20 if they don’t happen to use the same one as yours. If the wine is being shipped abroad and apparently a lot goes to the Far East then the costs are borne by the buyer. The funds which had been held by Cavex arrived in my account from quite quickly after the wine had been transferred. The Wine Owners platform is similar in principle but offers much more in the way of cellar management. The platform encourages one to upload your entire wine collection and does not restrict it to wines stored IB. This is an excellent feature particularly if you have wine stored Duty Paid with the Wine Society or even at home in a wine cellar. Again Wine Owners offer to upload your wine collection for you if you send it to them. Once uploaded the website provides information on the current & historic value of the wine, drinking dates, critics scores plus a record of the information you provided on the storage location, price paid, quantity remaining etc. The website is very user friendly and has some brilliant features such as the ability to search through your cellar by region, vintage, readiness to drink etc. One can offer wine for sale on the exchange and also other users can make speculative bids on any of the wines you have uploaded. The trading fees are 6.5% + VAT (7.8% all up) sellers fee and buyers also pay a fee of 2.5% + VAT (3%). For a charge Wine Owners will inspect the condition of your wine thereby allowing cases cellared at home to be traded. I imagine that once a transaction has been agreed there will be costs involved in transferring or delivering the wine although it is not clear from the tutorials to who they fall. Although I’ve received numerous bids on wines both offered and un-offered they have unfortunately so far been all cheeky bids well below the market price. So as yet it’s difficult to judge how effective a trading platform it is. I have noticed however that at least one of the cases that I have listed with them appears on the wine-searcher website so they are in reaching a larger audience of buyers than just those registered on the site. When it comes to selling on a few bottles of wine from the cellar at home there are a couple of options. If one had enough to make up an interesting mixed case, which included a few attention grabbing trophy wines, then it would be possible to consign the wine to an auction house like Bonhams. I’ve bought wine from Bonhams on several occasions but to date have never attempted to sell anything in this way. I have however recently been using UK online auction platform BidforWine with some success. Bidforwine works in a very similar way to eBay; one writes a description of the wine, takes photos of the bottles and gives information on its condition and provenance. The lot can be offered with or without a reserve price, one can set the start the price & choose the duration of the auction. 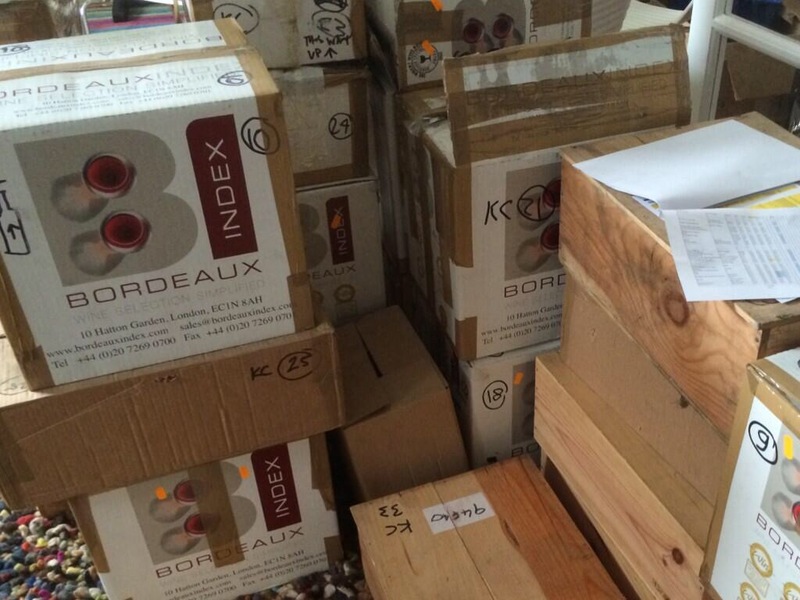 Buyers have the option to collect the wine themselves or to pay for having it shipped. Sellers generally promise to pack bottles in ‘Polysafe’ type polystyrene tubes for safety and use a tracked delivery provider like Parcel Force. Like EBay there is a system of feedback to allow buyers to assess seller’s past performance. Sellers pay a small listing fee which depends on whether one sets a starting or reserve price and an 8.5% + VAT (10.2%) commission on any sales. 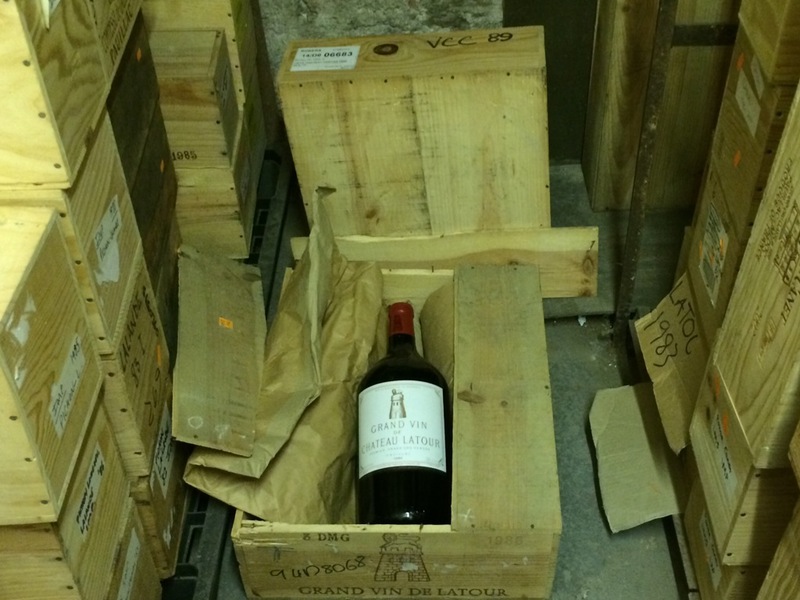 I’ve listed 3 lots to date, the first, a pair of bottles of mature Bordeaux from a well-known chateau, had 8 bidders competing for it and sold for a fair price. The second a mixed case of lesser known Bordeaux chateaux but from stellar vintages which generated less interest and sold very cheaply. I had listed both of these with no reserve and a starting price of a pound but I wasn’t prepared to sell the third lot, two quite expensive bottles of another well-known Bordeaux, at a loss so I listed at a fair starting reasoning that if they didn’t sell I would have lost nothing. The auction is still running but there is already a bid for over the this price. On can search the results of past auctions in order to see what prices a wine one is considering selling has achieved which is obviously helpful in deciding whether to sell and what to set the starting price at. Unsurprisingly it appears that popular wines are easier to sell for a fair price than more obscure but equally good wines, so better to drink them up and trade the usual suspects. Ultimately when I have bought via auction the attraction has been the opportunity to pick up more mature wines at a bit of a discount to the current market price so it’s worth bearing this in mind in deciding to sell. So what would price would one set with each of these options if one wanted to receive say £200 net from the sale? 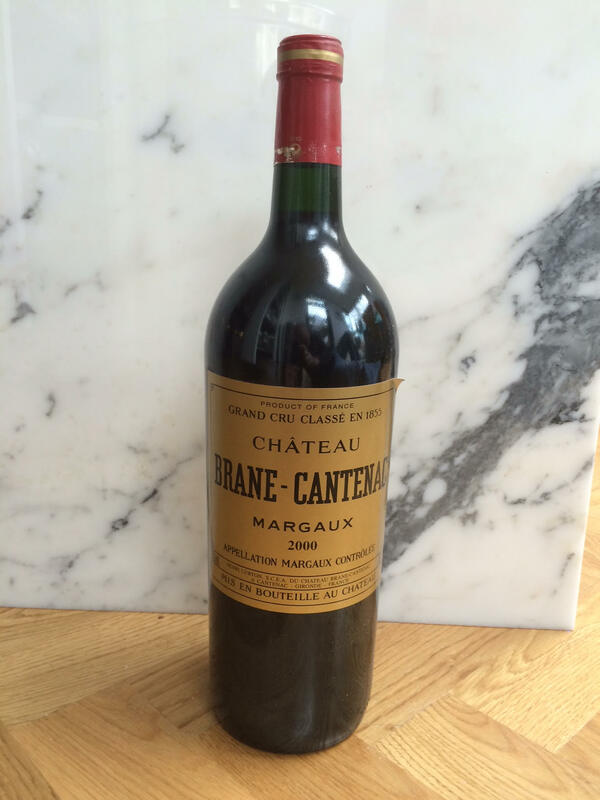 Bid for Wine – £222.74 (less 3.6% gross commission). On the face of it, it is cheapest for the purchaser to buy via the merchants as they only pay £220, then Bid for Wine at £222.74, Cavex at £230.47 and then Wine Owners at £239.90. However there would either be a transfer or delivery fee to pay with Bid for Wine which would make it similar to Wine Owners. Probably the most effective and easiest way I’ve found to exchange wine has been direct with wine friends of mine. Provided the wine is good, splitting a case purchased or buying and selling a few bottles at the price originally paid always works a treat. Categories: Everything else, news | Tags: auction, bordeaux | Permalink.